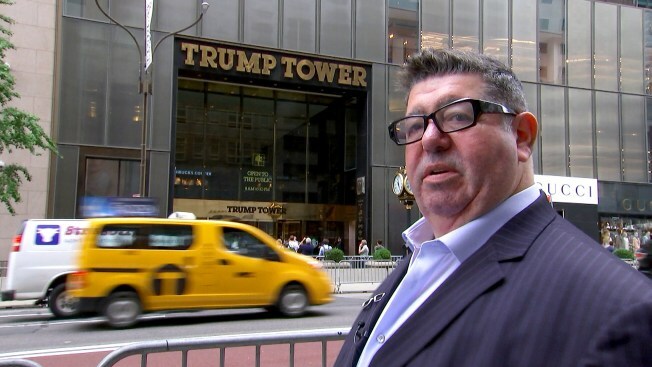 Goldstone had promised Donald Trump Jr. that the lawyer, Natalia Veselnitskaya, had information that "would incriminate Hillary and her dealings with Russia"
British music publicist Rob Goldstone is seen outside Trump Tower in New York City, the site of a June 2016 meeting he helped set up between Russians and members of the Trump campaign team. British-born music publicist Rob Goldstone now believes the infamous meeting he helped arrange between senior Trump campaign officials and a Russian lawyer who promised dirt on Democrats may have been a Russian intelligence set-up, he told NBC News exclusively. 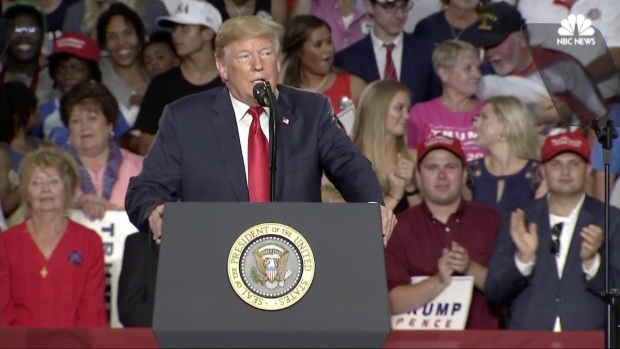 He also agreed that he conveyed a "dirty offer" to the Trump team, and while the dirt "didn't materialize," he believes that's what drew the scrutiny of congressional investigators and special counsel Robert Mueller. Goldstone had promised Donald Trump Jr. that the lawyer, Natalia Veselnitskaya, had information that "would incriminate Hillary [Clinton] and her dealings with Russia and would be very useful to your father." He also emailed that it was "part of Russia and its government's support for Mr. Trump." Goldstone hopes his new book, "Pop Stars, Pageants & Presidents: How an Email Trumped My Life," will provide context for his role in the episode. In a Twitter tirade on Sunday, President Trump defended his son, Don, Jr., over reporting about the 2016 meeting with Russians at the Trump Tower. But he ended up contradicting his own explanation of the events.